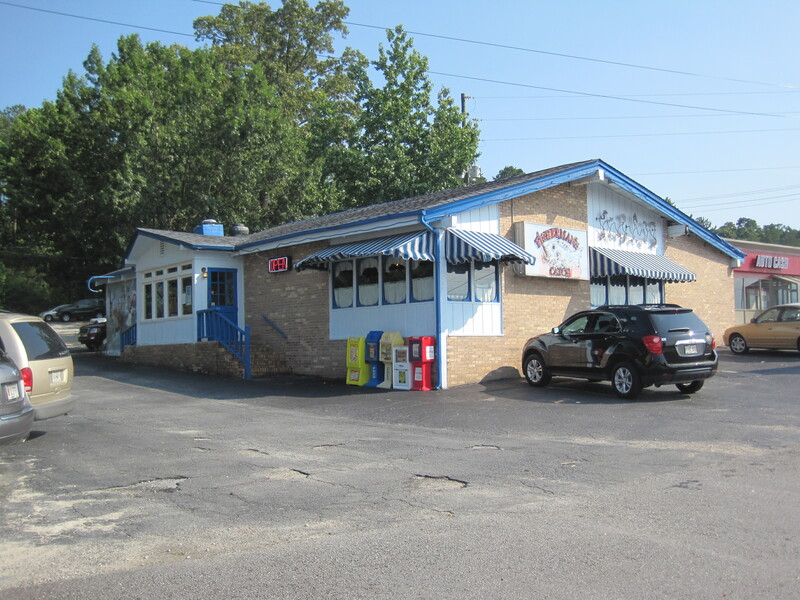 The Dublin is located a little north of the intersection of Killian Hills and Highway 78, a bit south of Golden Corral and in the same building that used to house a Mellow Mushroom and later, Benny’s Bar and Grill. 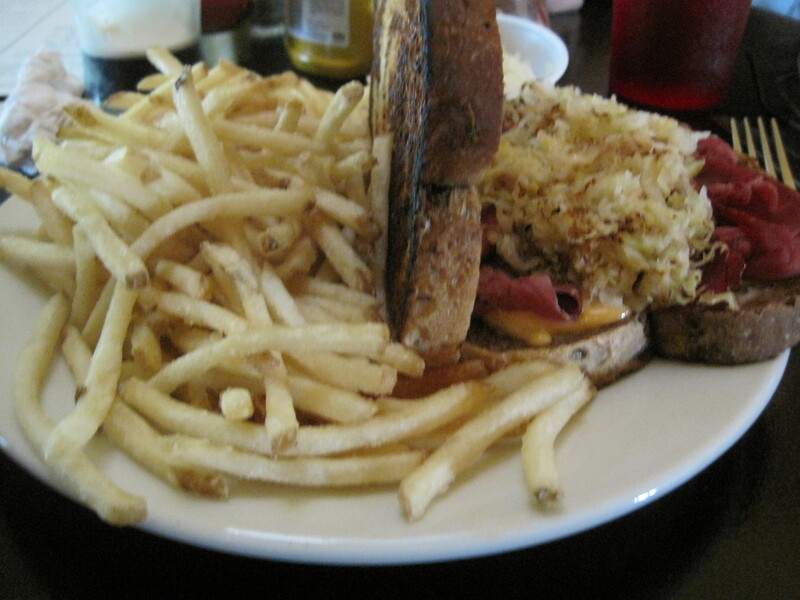 The theme is English/Irish pub, and the menu is moderately ambitious as pubs in the Snellville area go. I went recently, to try it out, and staff there were saying that the pub owners have plans to add another in the Lawrenceville area. 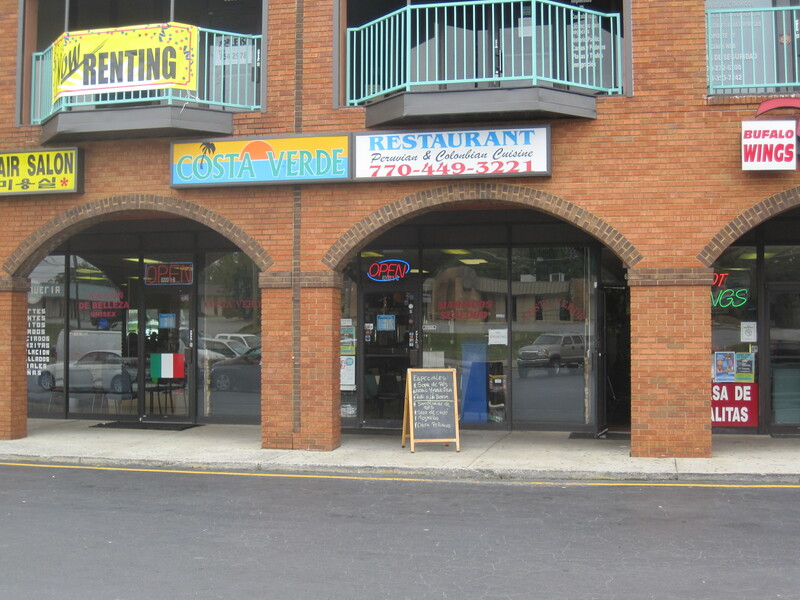 If so, it becomes another small English/Irish chain in Atlanta, a bit similar to the Dunwoody Restaurant Group. 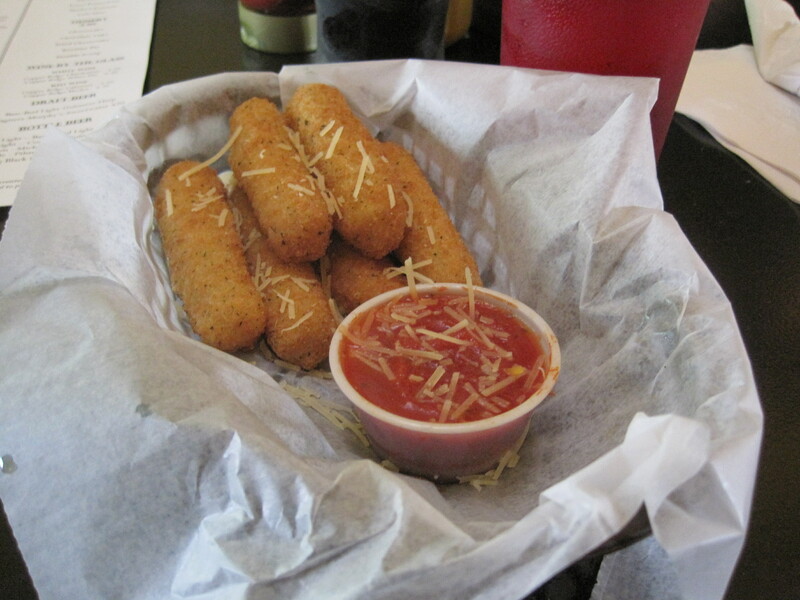 I had a beer, their mozzarella sticks, and a corned beef sandwich when I went. 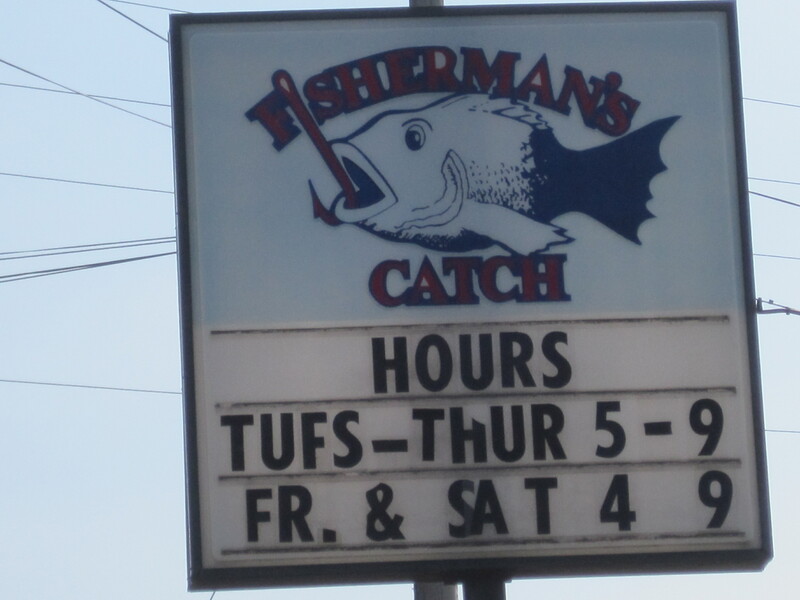 I thought the kitchen ran a little slow, but this place was only open 2 months when I dropped by. Best part of it was the staff, which were pleasant and very attentive. Food was pretty good once it arrived. My gut feeling is they’ll get better once they get all their newness worked out of the system, but for now, the Dublin is certainly an alternative to bars for whom buffalo wings represent a culinary challenge. 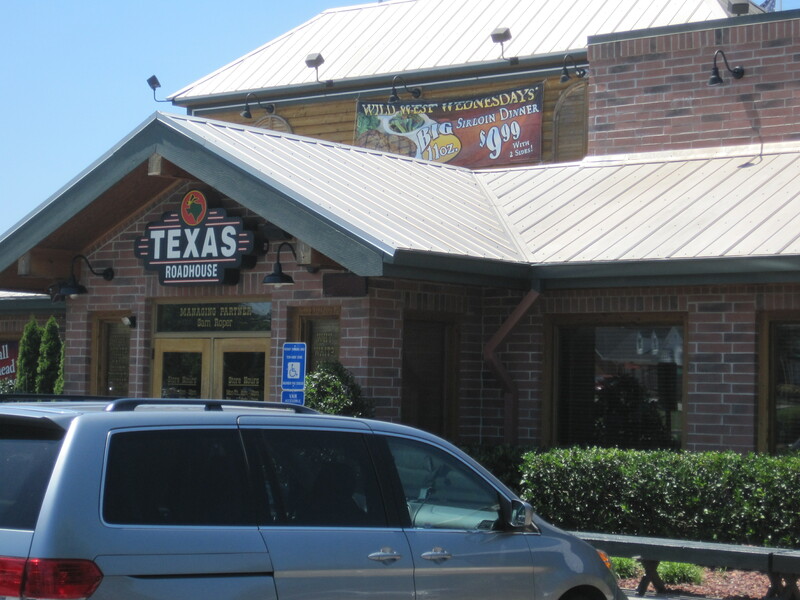 I’ve reviewed Texas Roadhouse before, but this time I arrived with a camera and I took photographs. Those that want discussion, I’ll pass on to my older review, as little has changed that I can see. This article will be concentrating on photographs. 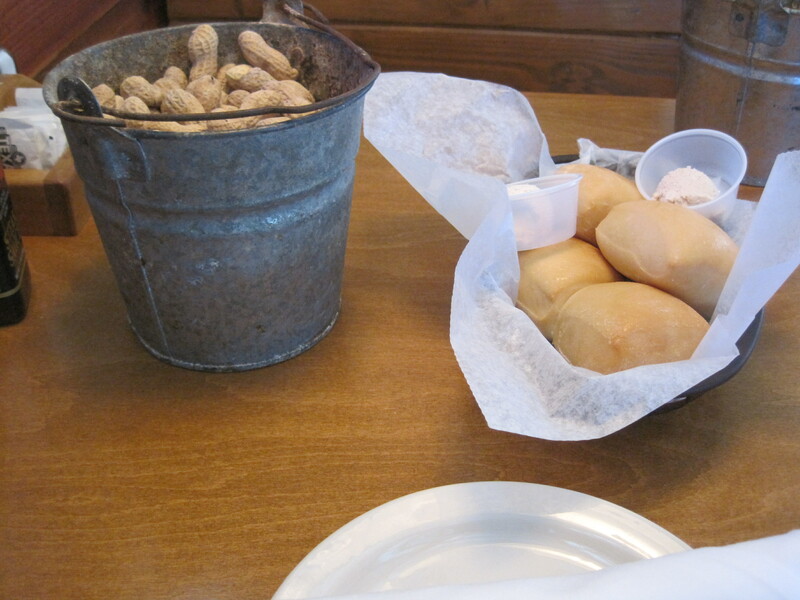 Good rolls, good peanuts. The butter is too sweet for me to indulge in. To note, we haven’t been back much since my original review because this restaurant is just way too popular. The lines linger out the door on weekend nights and we pass on to places that can seat us. 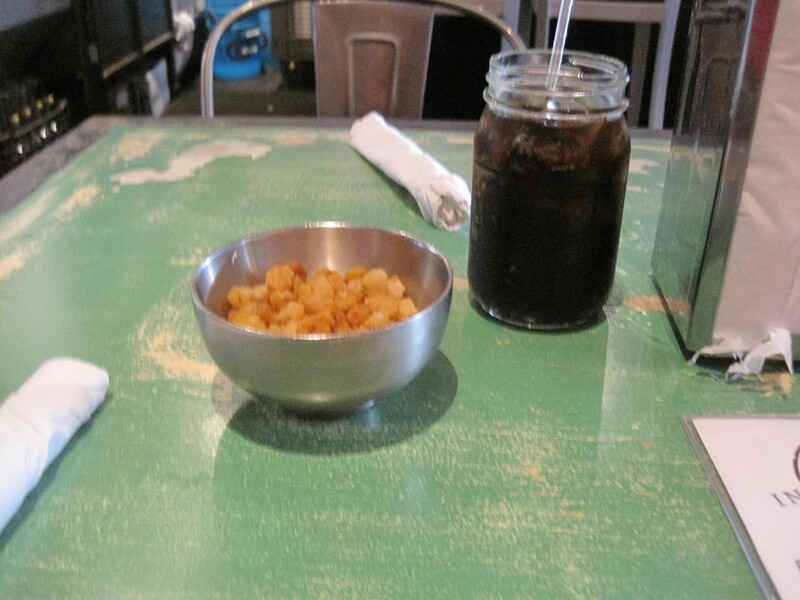 That said, the off hours aren’t bad – I had lunch on a Saturday this time – and service is good once you get inside. 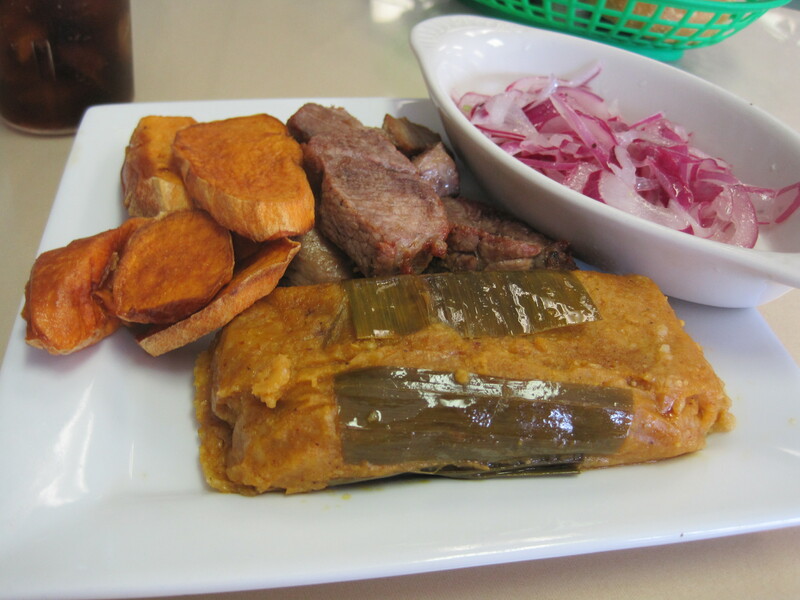 It has a tamal (a tamale), chicharrones (chunks of pork), some sweet potato chips, cooked onions, and some rolls I didn’t sneak into the photograph above. They have a dinner menu with translations, but I was feeling lucky today and didn’t bother. I loved the flavors in the tamal, unlike the generic yellow tamales that you might buy in BHFM, and the onions were fine as well. 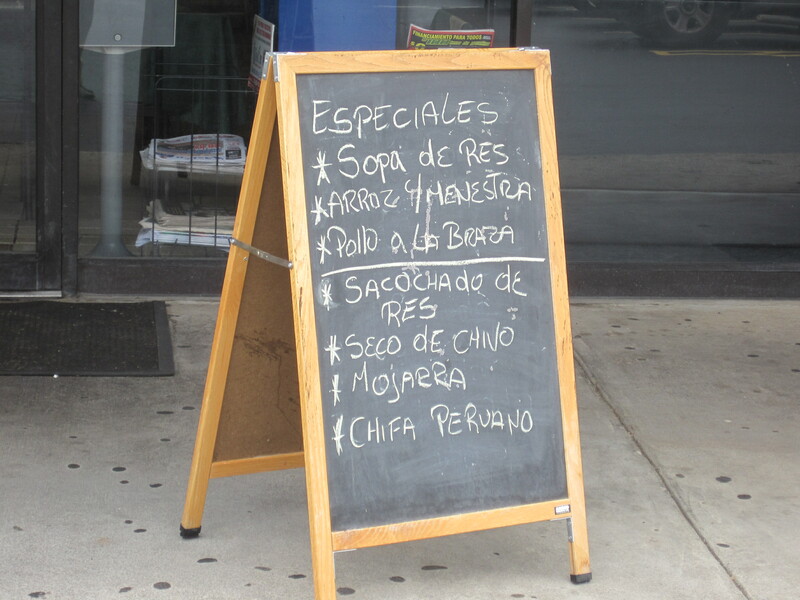 They hadn’t finished their lunch sign until I left, but I managed to get a couple photos as I departed. 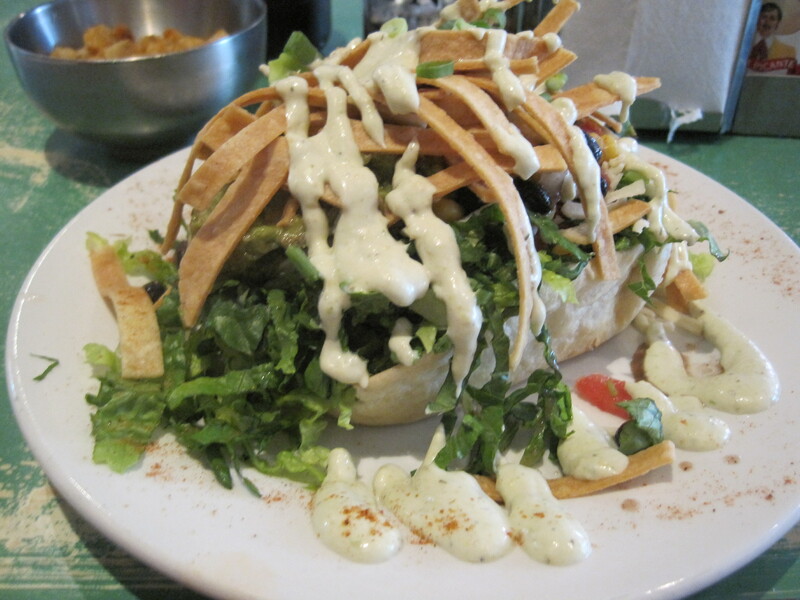 Peruvian cuisine is a spicy Latin cuisine, and I’ve enjoyed it most when I get some fish or shrimp along with a bit of the spicy green sauce often seen in these restaurants. This is a place with an original menu and original options, and if you’re into modest restaurants with original food, this is a place for you. 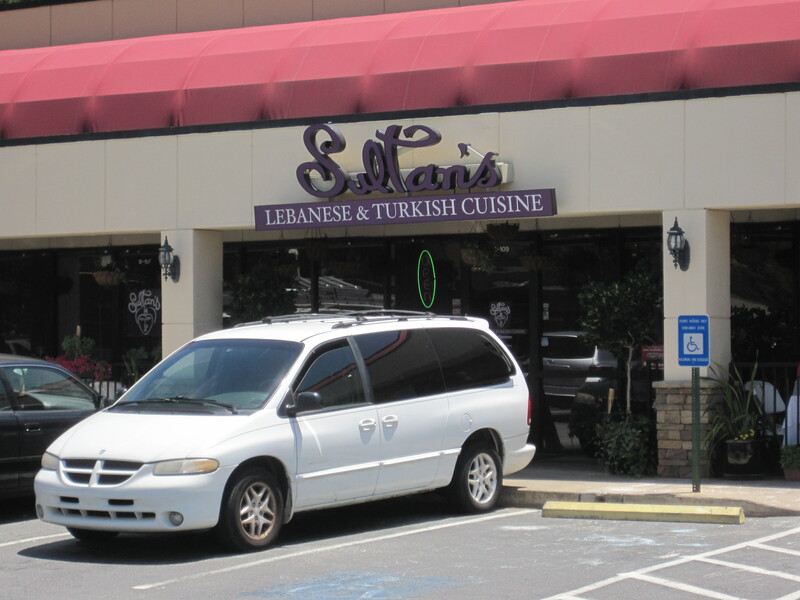 Sultan’s is a Lebanese and Turkish eatery in a strip mall a little south of Whole Foods on Roswell Road, in the same strip mall as Bishoku and Chef Robb’s Caribbean. It, like so many other Mediterranean eateries along this road, offers a lunch buffet, both a blessing and curse for the blogger. It’s a blessing in that it’s cheap. It’s a curse in that there is no easy mapping between what you eat and the names of what you eat. It’s just that good tasting stuff in a pretty tray over there. And in that vein we’re not going to name much of what we eat today except in generic terms. 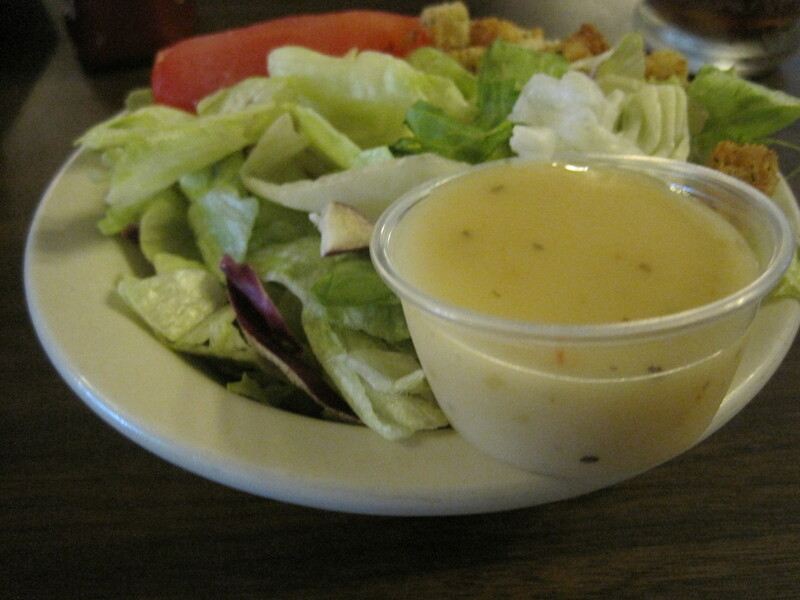 Words like “salad”, “roast beef dish”, grilled chicken will predominate. What I can assure you is that Sultan’s will feed you. And for a diabetic, you’ll be fed about as well as any place in the city can, for the price you pay. 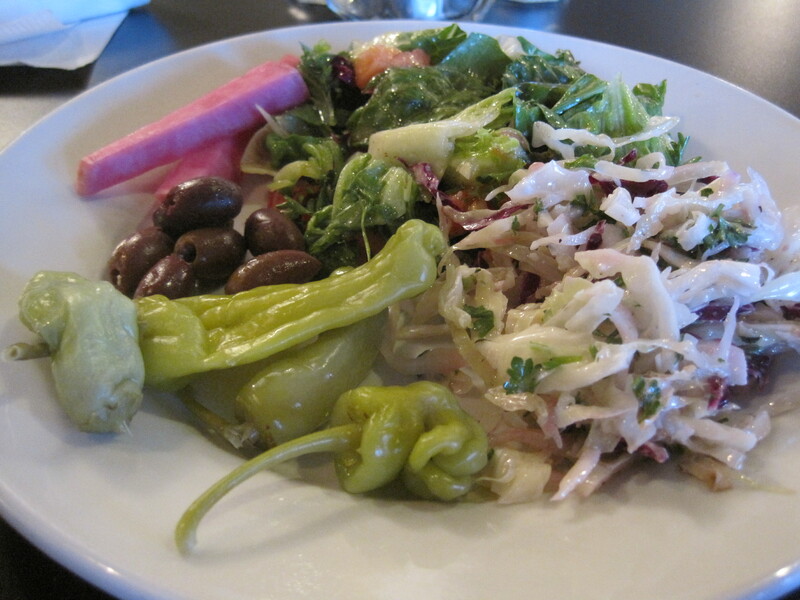 Mediterranean cuisines have an emphasis on salads, plenty of grilled vegetables, and meats. Yes, there are excellent breads and rices, but you can ignore those in a buffet. The five or six excellent small desserts at Sultan’s? Well, I can’t safely review them so I’m not going to. Someone else can give you that rundown. 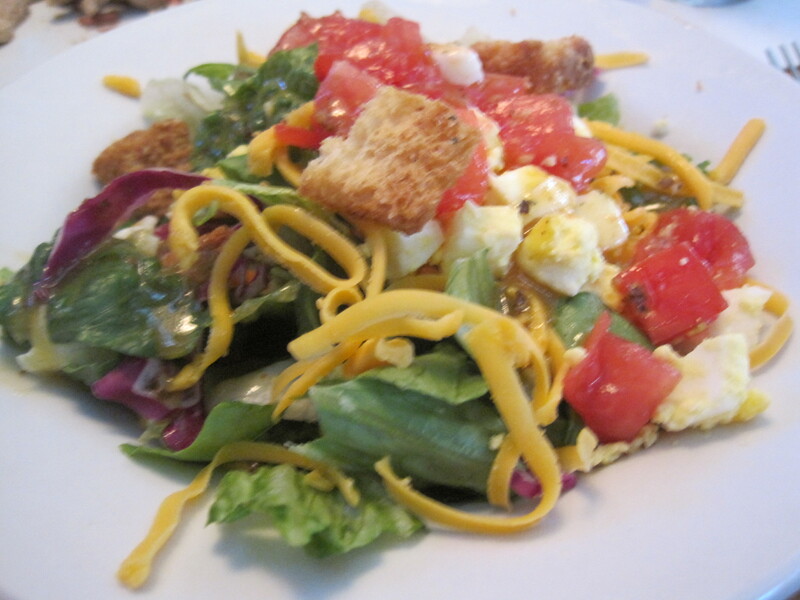 This last time I went there were two really good salads along with plenty of good additions – thick slices of cucumber, large chunks of ripe tomatoes, plenty of chunks of feta cheese and good olives. There were at least three kinds of meat: a roast beef dish, a ground beef dish, and some delicious grilled chicken. There was a soup, a lentil-rice soup that I took a few spoonfuls of. There were small breads, about the size of the palm of my hand. There was plenty of rice as well. 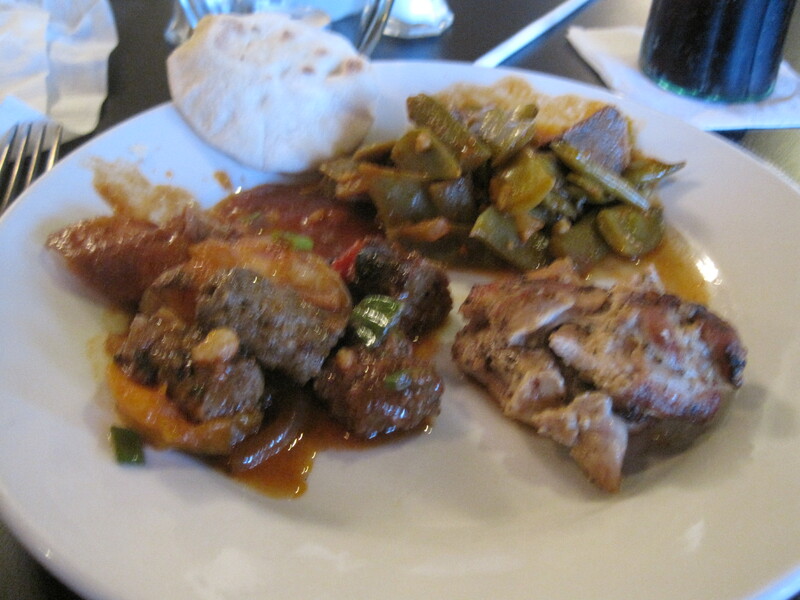 Now, if what you’re after is exotic meats, then you’ll need to hit Sultan’s during dinner or perhaps some other eatery. 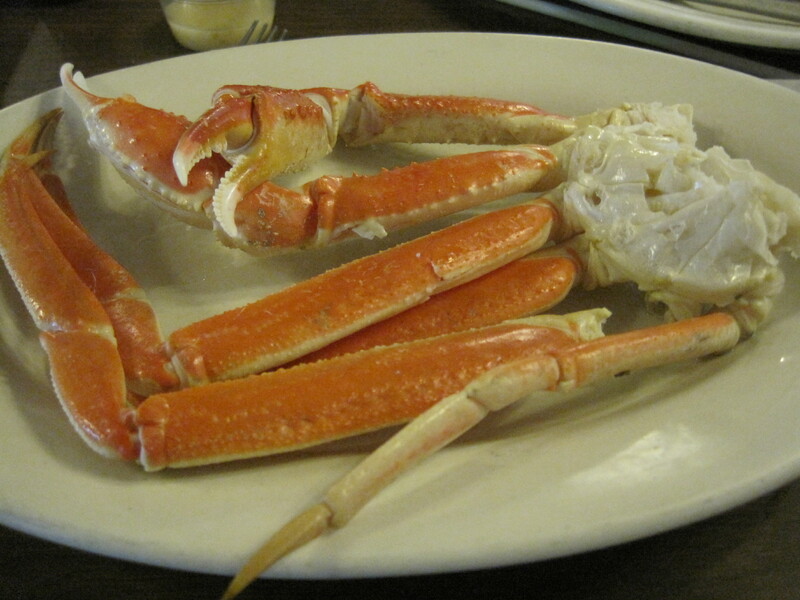 What they do serve is inexpensive for this kind of eating and very tasty. 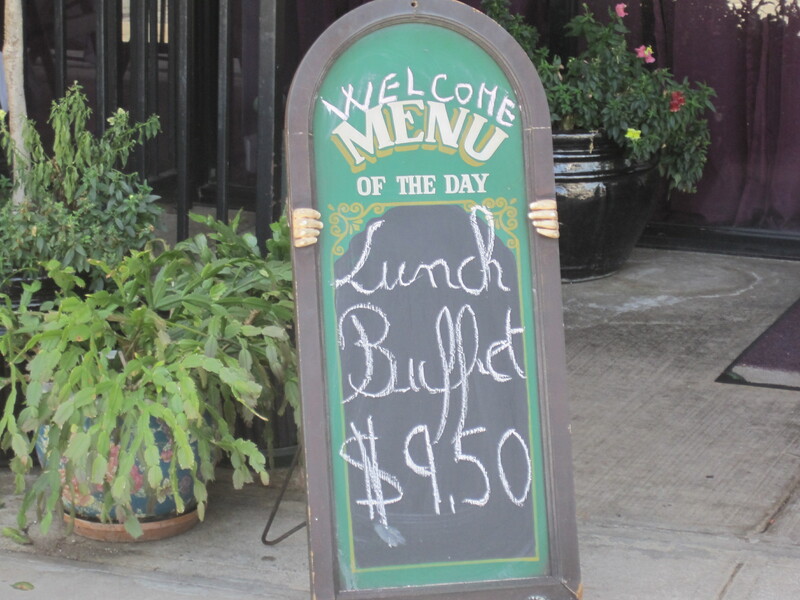 But it’s a lunch offering, and priced that way. 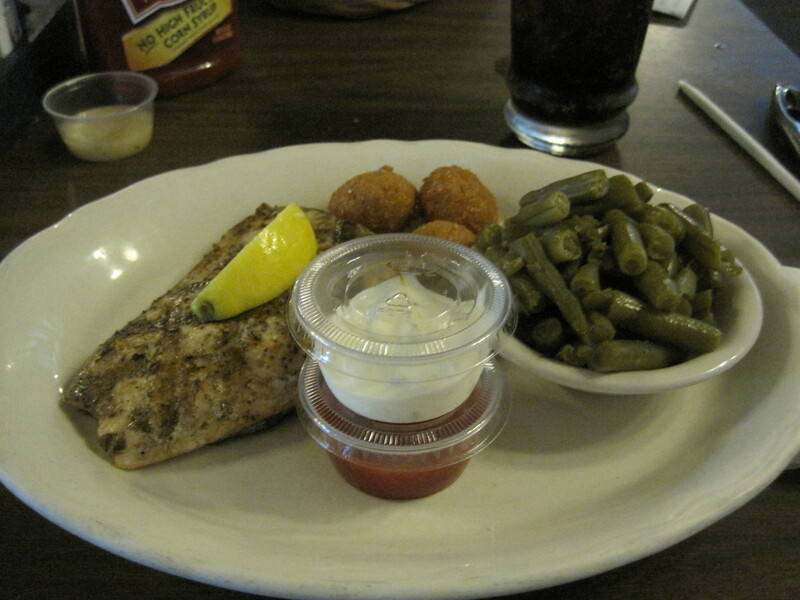 If that’s okay by you, then Sultan’s has enough good food to please even the biggest eaters. Inc Street Food is an exceptionally pretty restaurant, and one based on a theme. What looks like a side of a food truck is actually the portal to the kitchen, and otherwise, the restaurant features a carefully crafted look, suggesting plenty of age. The look, and the very pleasant staff helps gets customers in the mood. Something about it reminds me of Reading Terminal Market in Philadelphia. I can’t tell you entirely why. Perhaps it’s that the half car look of the kitchen reminds me of the bustle of the converted rail station. But the look for me is transporting. steak, fish, and pork tacos. I wish I could say the food were as wonderful as the atmosphere, but it’s merely good. There was a bit too much sauce for my taste, and my tacos all had oily inner tortillas. 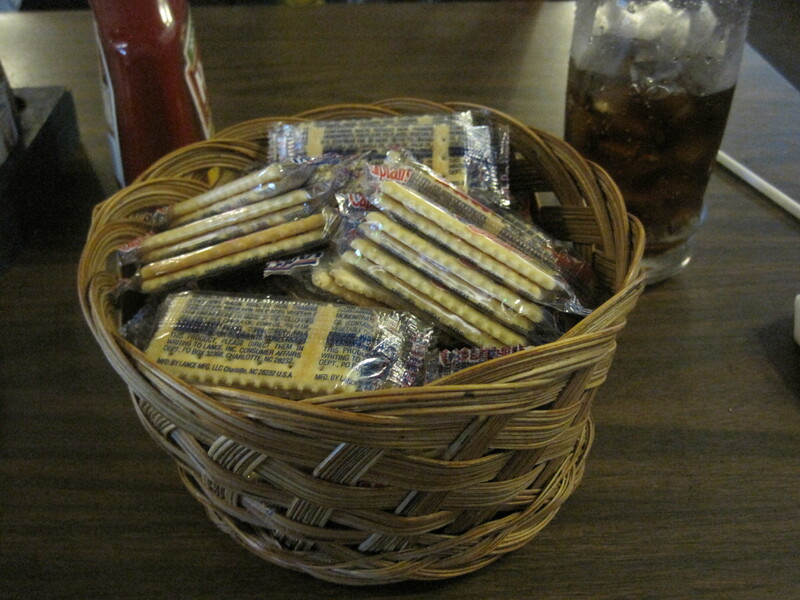 I pulled those out and threw them away; not as if I need extra carbs anyway. But really, this is a place to see and be seen. The food just has to be good enough and it is. 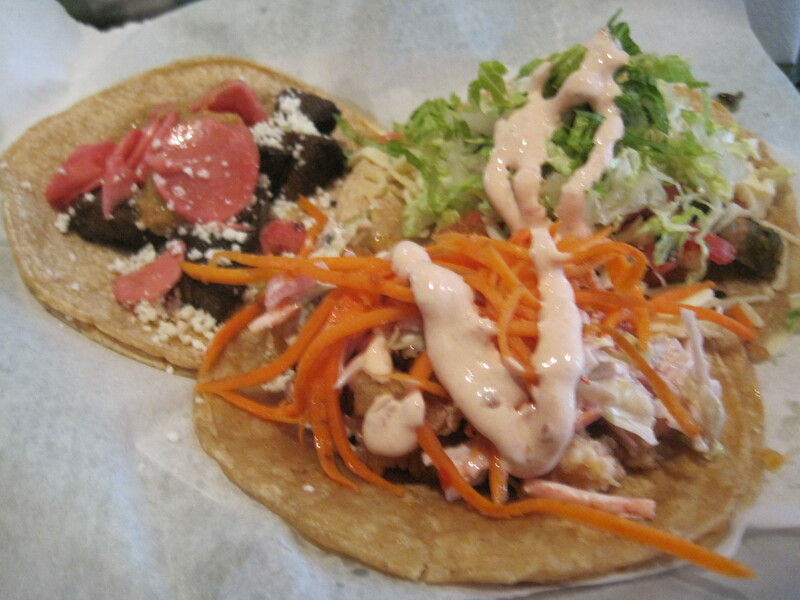 If I were after the best and freshest tacos, I’d be prowling taquerias rather than this place. I suspect its best use is as an after hours respite. In that spirit, you could show up around 7 pm, kick back a few drinks, and eat enough food so that you could drive home. To note, it’s a small place and seating is pretty close. You’ll end up hearing the conversations of the people around you. It’s just part of the flavor. 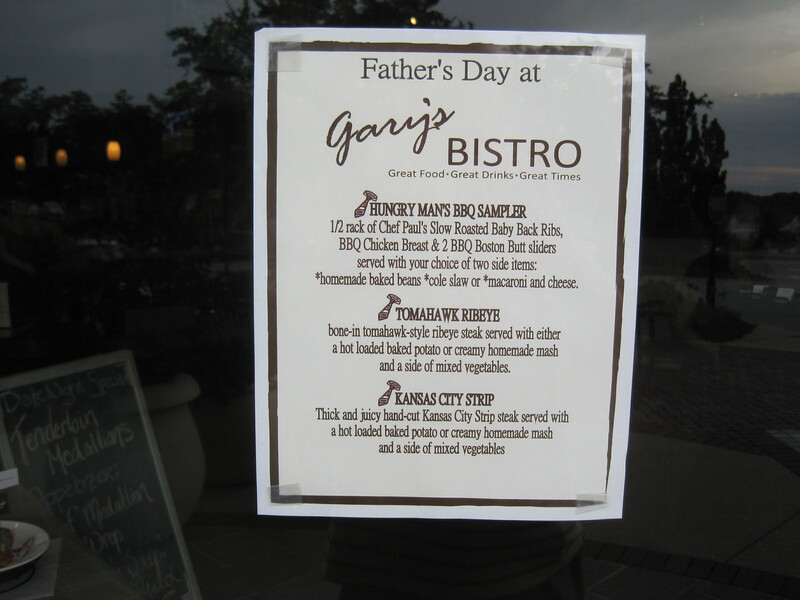 Gary’s Bistro has a new chef, a new menu, and they have Father’s Day specials. They also have an excellent burger. The deal is, they don’t compress their meat the way most short order cooks do, and that leaves the meat almost melt-in-your-mouth tender. 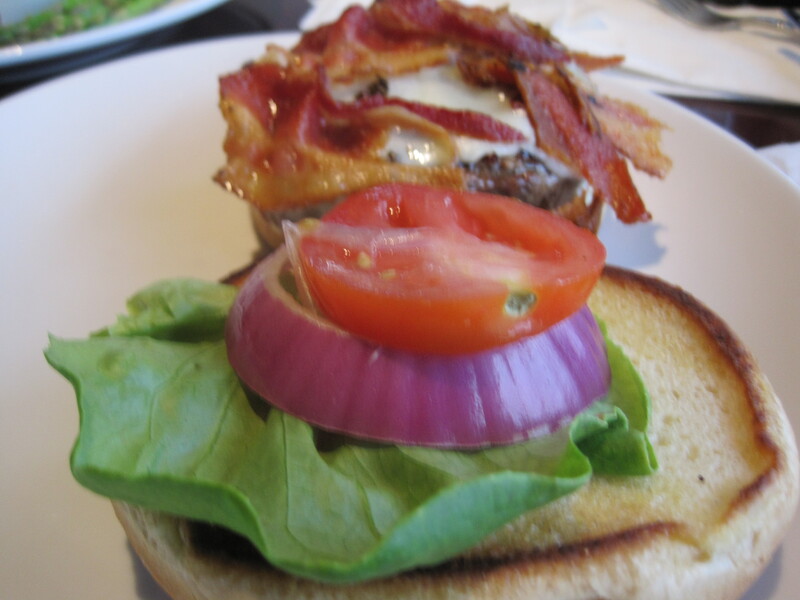 I spoke about handling burgers this way in my article on the “Bittman burger”. Jimmy of Eat It Atlanta, as well, has touched on the advantages of being gentle when shaping burger patties. 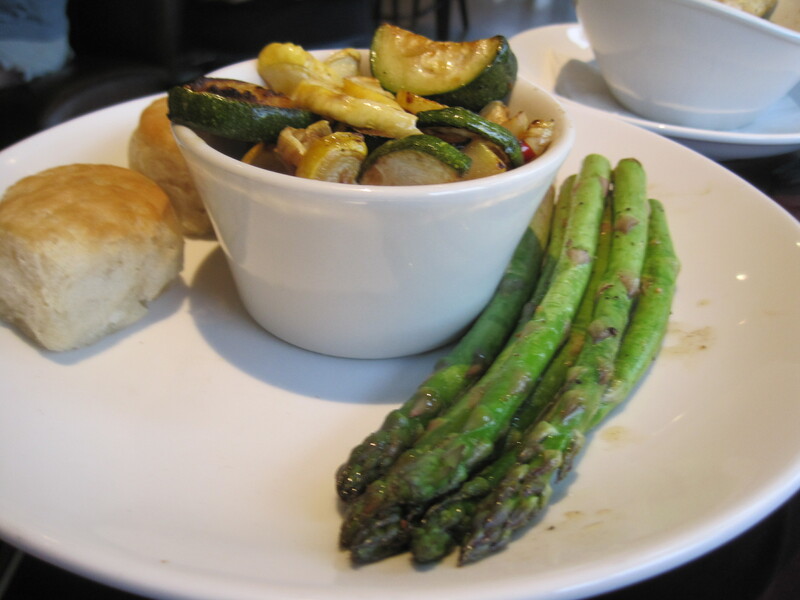 Also shown above are the mixed vegetable and grilled asparagus sides. 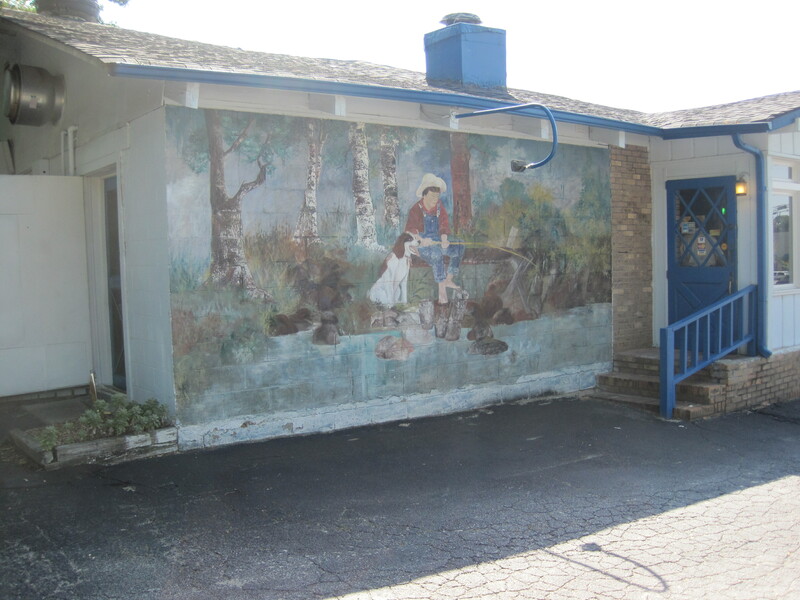 The service that characterized the restaurant hasn’t changed. It’s still exceptionally good. Staff tells me that part of the menu changes are to produce a more efficient restaurant. 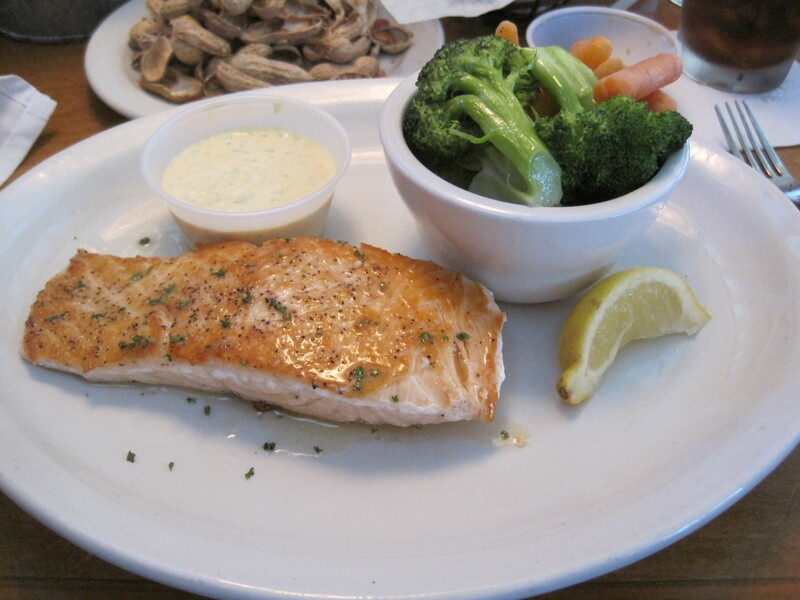 If you’ve ever seen any of Gordon Ramsey’s Kitchen Nightmares, particularly the episode on the Fish and Anchor (season 5, episode 6), you’ll know that it’s important just from a performance standpoint to have a thematically consistent kitchen. If you try to be too many things to too many people, you end up being half of what you could be with everything you do.